Thank you so much!! She was spot on. Thank you so much for the information and answers to my questions. We've all been there. Whether it's love, money or those problems with family members that always seem to pop up at the wrong time, it's only natural to look for answers. That's where I come in, because I have those answers. For decades, I have put my psychic powers to work for a small, elite group of clients. Until recently, I have worked only with select clients and those I have met during my rare public readings. Now, thanks to the Internet, my powers are at your disposal. I consistently stun my clients with my high degree of accuracy, and that's why they come back. Almost all of my business is repeat business, and I have never had to recruit customers. I have been giving readings to monks in Buddhist temples, and their adherents, for the past 25 years. If they trust me and rely upon me, you know you can too. Even other psychics come to me, which is always an honor and a privilege. I use a unique combination of my own psychic powers and Tarot cards to see into your world, and help you understand and conquer the issues before you. My clients have been amazed by my accuracy especially in issues concerning love, finances and careers. My longtime clients will not make a major life decision without consulting me first. I won't keep you on the phone with meaningless small talk. Every question I ask, every statement I make, will have a purpose. I won't use any other tricks to keep you on the phone at length. I will not hide the truth from you; I will tell you what I see, not what I think you want to hear. So please give me a call when you are lost, confused, or just in search of some answers. 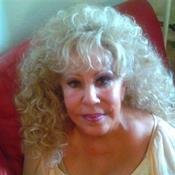 I specialize in love and romance, financial issues, employment and general questions about life. But most importantly, I specialize in you. First-time callers get free minutes to use in future calls. Regular callers get regular free minutes. I take care of my clientele! PsychicJada has been a user of Keen since 2004. Getting Life Questions advice from PsychicJada through www.keen.com is safe, secure and confidential.